By design, the eyelet is strategically placed at the jig’s balance point. 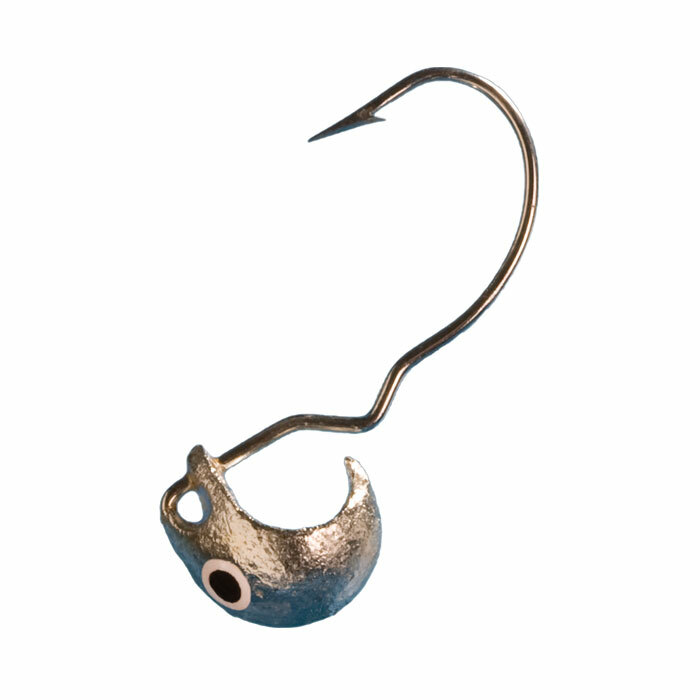 The revolutionary “Head-under” design allows for a 100% open hook gap for awesome hook-sets. 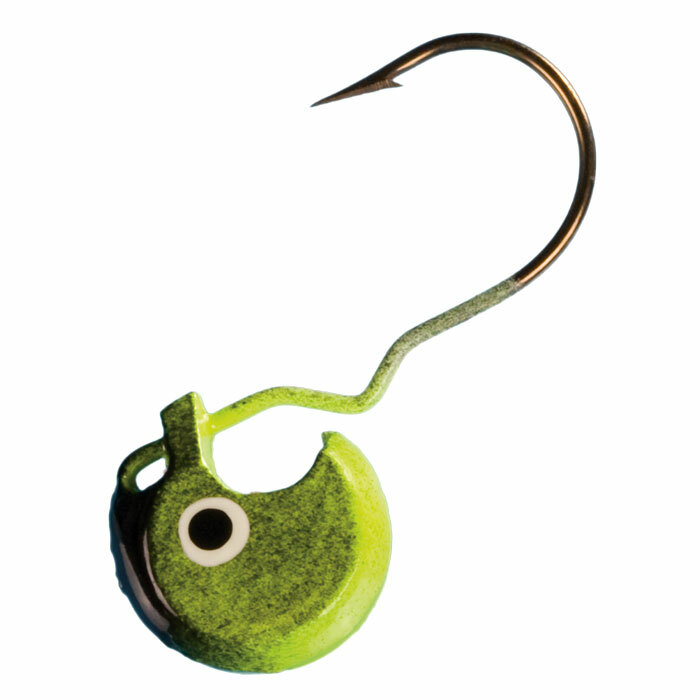 It stands up relentlessly on the bottom to minimize snags & keeps the bait upright for a natural presentation. The jig hangs horizontal when suspended or on a swimming retrieve, along with a great “teeter-totter” action when vertical jigging. 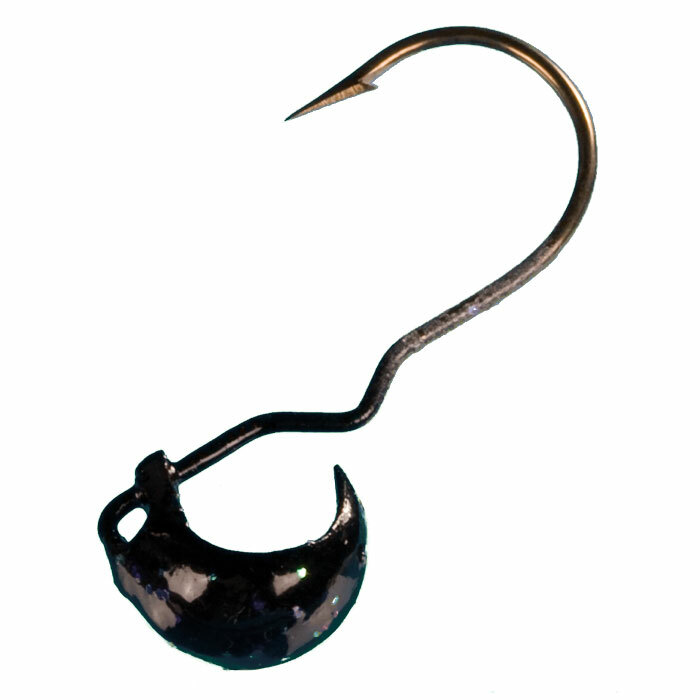 The Nuckle Ball “Jitt-R” Jig combines the Nuckle Ball Jig with a highly reflective blade and features super sharp Mustad Ultra Point hook. Unbelievable flash/vibration action draws fish in from a wide radius to provoke vicious reaction strikes. The balanced, stand-up head design minimizes hang-ups, perfect for bottom dragging. 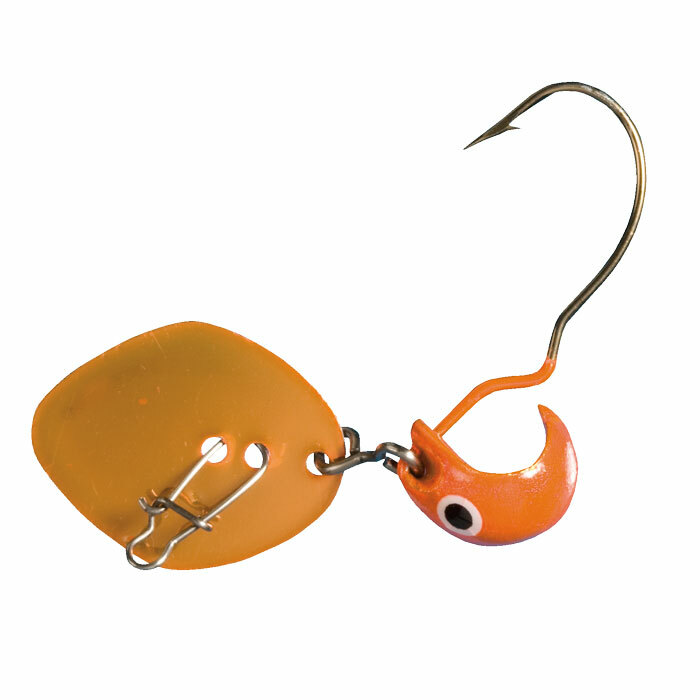 Multiple rigging options including weedless rigging with soft plastics, and live bait. 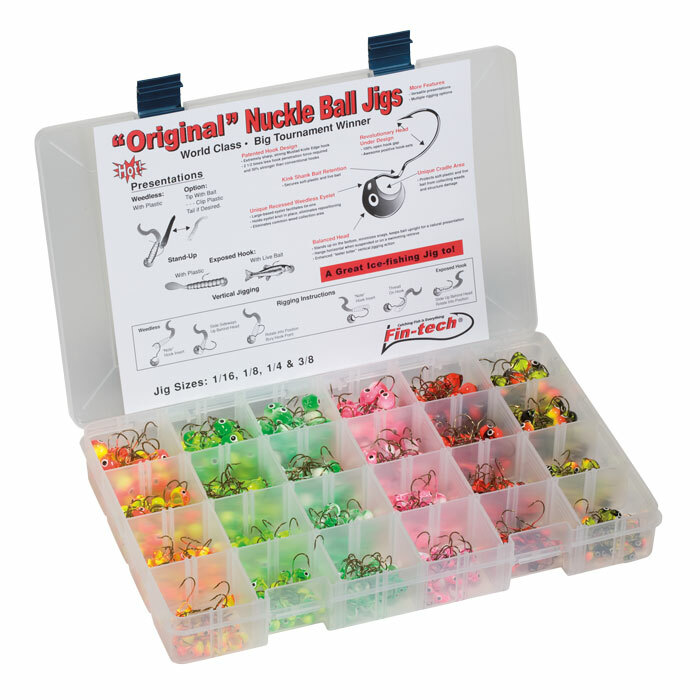 The Nuckle Ball “Jitt-R” Jig provides irresistible swimming action at any retrieval speed, but the slower you fish it the better. Available in 7 highly reflective metallic colors.